This is an oldie, but it’s still available for those that haven’t requested it yet. Click here to visit the Invisible Glass site and scroll down until you can fill out the form. If you don’t get it today, no worries, they give free samples to the first 3,000 daily, so tomorrow will be another chance. Just got this. Said it will take 2-4 weeks. I tried to sign up for a sample of their product and didn’t get the “code” right and it told me to try again. When I did try again, it told me that it already had my email address on file and that they only send one sample to each email address. So even if I didn’t get the code right, I still get a sample? you might because I didnt do the second word at all and they said Thank you …… you will receive your sample in 2-4 weeks. Could I have. Sample plz. looking forward to receiving sample to see how well it works, my mirrors and windows can sure use it! 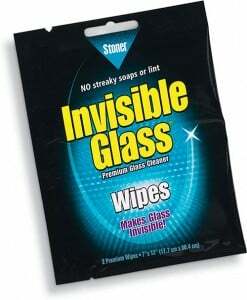 this product really works it makes your glass crystal clear. I love using this in my car and every place I can. I have never seen it so i would like to try it for free. Hope I get a free sample of Invisible Glass cleaner!